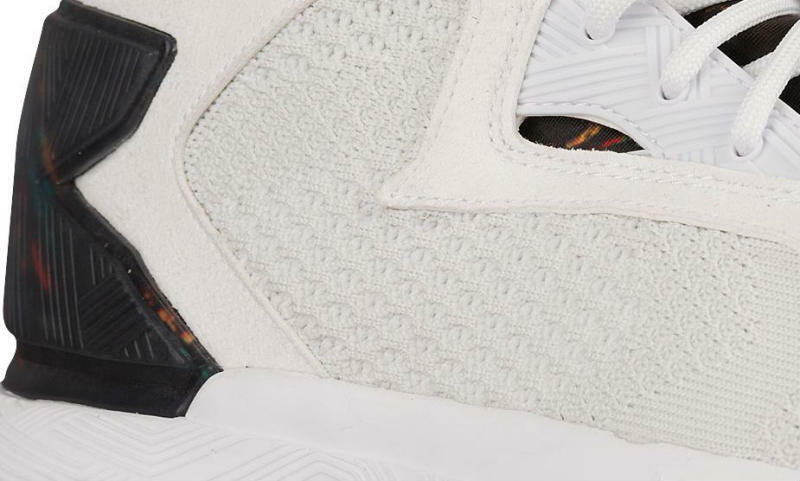 Multicolor details on the next D Lillard 2. Before tip-off next season, expect a few more adidas D Lillard 2 colorways to pop up over the next few months. Arriving this week is this festive, white-based pair, highlighted by a multicolor pattern on the bootie and heel counter. 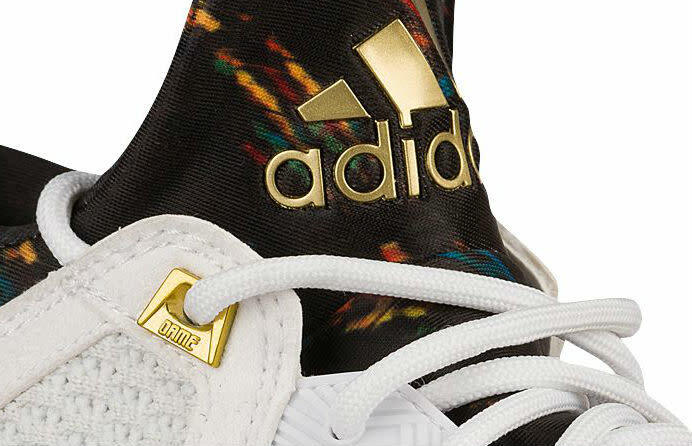 The shoe also features metallic gold on the branding hits and upper eyelets. There's probably a concept in play here, and we'll probably find out more from adidas in the coming days. This Lillard 2 is slated to release Saturday, July 30.